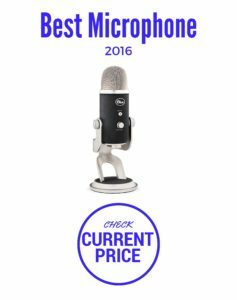 If you’ve been looking for a shockmount for your Blue Yeti mic, the wait is over. Blue Microphone has finally unleashed their updated and upgraded shockmount for their flagship Yeti and Yeti Pro microphone line. With improved hinge design that locks in place you’re able to get super stable positioning for your microphone. 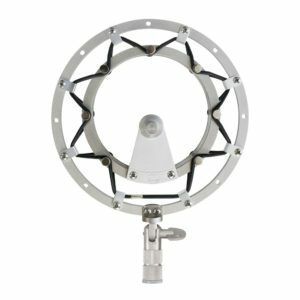 Adding the Radius II to your setup shows that the yeti mic is a true professional choice for podcasters and vocalists alike. The Yeti’s huge mass gives it an unrivaled sturdiness, but the way it’s fixed to the base makes it a nightmare for isolating ambient desk noise. So if you’re using it to record screencasts, it can sound like you’re typing using a sledgehammer – even with the pickup settings optimized to cardioid. There is a good reason that the Blue Yeti series is up there as a top microphone for singing and it can be a double-edged sword. Thankfully the Radius II solves that problem. The Microphone Shock Mount That Looks Good Too! The Radius 2 shockmount uses the classic suspension design that’s in keeping with the massive, retro style ethic. It has the look of a shockmount at 4x the price. It’s kinda like the ringer that’s been available for the smaller Snowball USB mic for some time now. And as we mentioned in our reviews of the Yeti series they pick up everything. There are settings for what and from which direction you want the mic to focus on when you’re recording or singing, but nothing is perfect. Although, the Radius 2 gets it really close. Do yourself a favor and check it out. You’ll be amazed at how well it functions and eliminates sounds you just don’t want to hear. That’s why we rate the Radius II as the best shockmount for your Blue Yeti Microphone. The whole team gives it a big giant thumbs up!